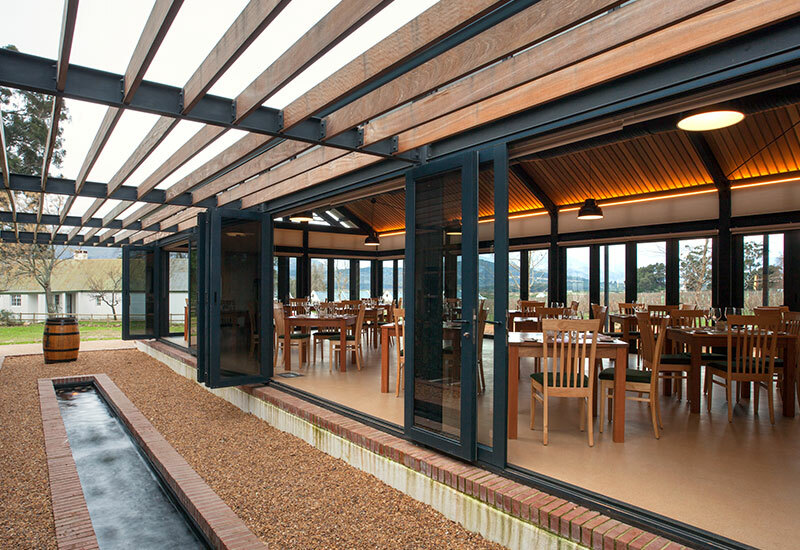 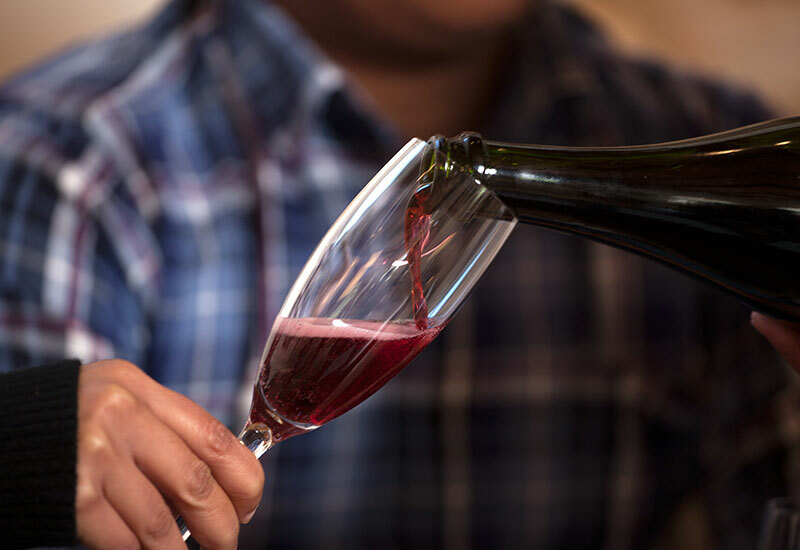 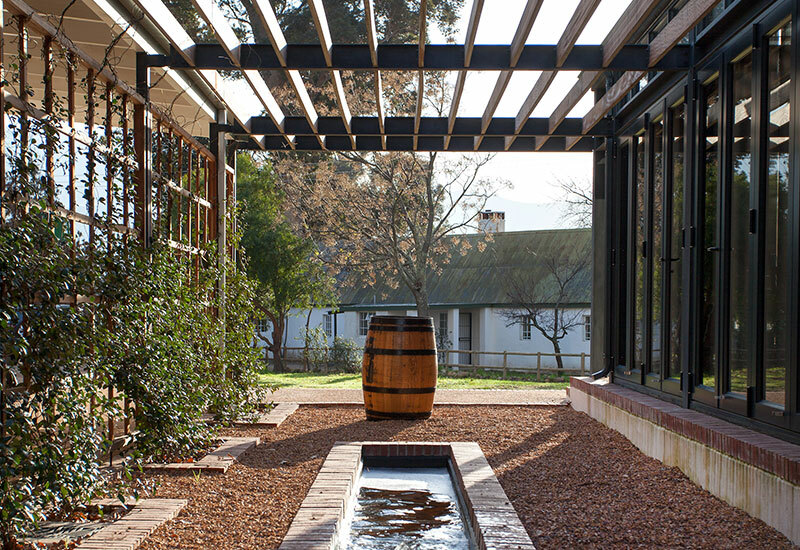 Experience our delightful, distinctive wines at the Wijn de Caab tasting room, which is housed inside a glass structure overlooking our vineyards and the Franschhoek valley beyond. 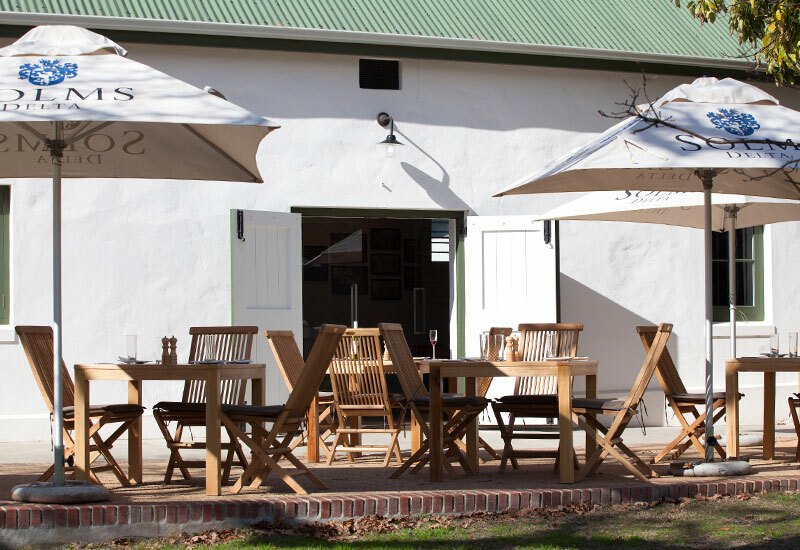 Wine tasting takes place inside the tasting room or under the oaks and on our expansive lawn outside. 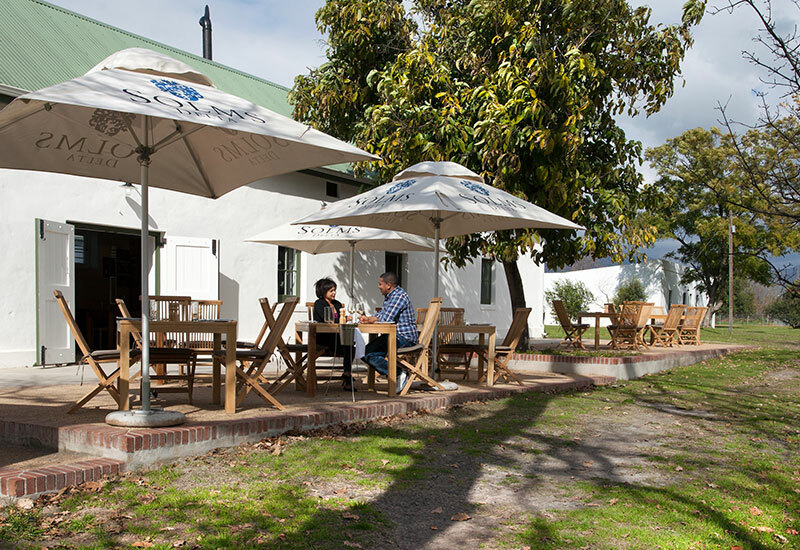 The tasting room is open seven days a week: Monday to Thursday from 10h00 to 18h00, and Friday to Sunday from 9h00 to 18h00.